In automotive engineering in particular there is a growing trend towards touch-sensitive control logic as a cutting-edge interface between man and automobile. Through the combination of a thermoplastic base support, a capacitive sensor foil and a functional coating of polyurethane (PUR), these so-called hybrid products can be of great use to vehicle designers and manufacturers alike. Hennecke GmbH is an expert and exclusive system partner in the creation of extremely resistant surfaces. 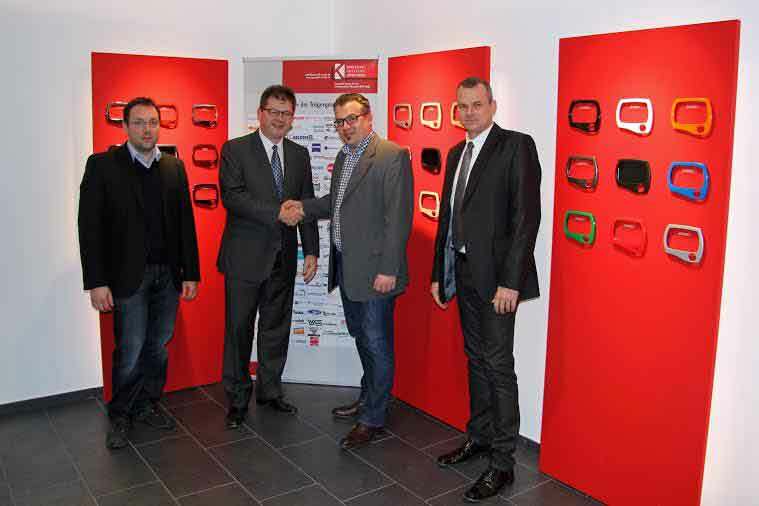 The latest examples of this are the cooperation with the company ENGEL Austria GmbH and a new collaborative project with the Plastics Institute in Lüdenscheid which focuses on the issue of painting in the mould. When it comes to processing transparent PUR systems in order to provide a finish for surfaces, Hennecke GmbH has not only the appropriate machine technology at its disposal, but can also take advantage of its many Page 2 of 4 years of expertise in the field of process control for flooding with PUR. With the CLEARRIM process, Hennecke succeeded more than a decade ago in achieving an important breakthrough with respect to the surface sealing of decorative parts. In this process, a thin layer of PUR is introduced under high pressure into the mould cavity in order to effectively finish thermoplastic support elements with natural surfaces within a very short time. The work required for post-processing and the level of emissions are drastically reduced in comparison to painting. This enables users to produce a scratch-resistant, durable and high-quality surface structure for decorative parts in the automotive field, the furniture industry or countless other decorative applications. Through the use of special polyurethane raw material systems it is even possible to create self-healing surfaces, where the focus is not only on the surface feel, but also on functionality. A further advantage of the CLEARRIM technology is its outstanding ability to be combined with accompanying processing methods. The best example of this is a process-related development resulting from the collaboration between Hennecke and ENGEL Austria GmbH: the clearmelt® technology. In this process, thermoplastic mouldings are combined with decorative film overlays or wooden inserts by means of injection moulding. The actual finishing process using the transparent PUR system is carried out in the same production cell. This economical production method offers almost unlimited opportunities for individual surface design, particularly with regard to the realisation of special surface effects. With the additional integration of a capacitive foil, an elementary added value has now been incorporated into the product. 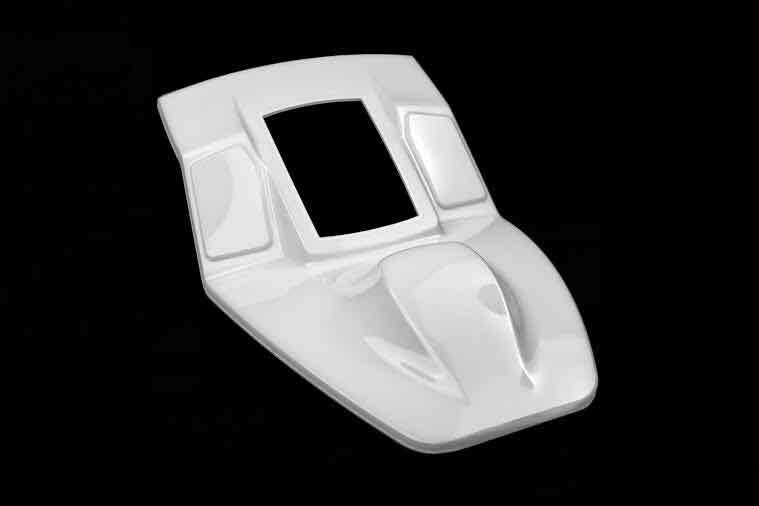 In the specific example application of a component of the cockpit centre console,the thermoplastic base support is injection-moulded using a turnplate device made of PC/ABS,while at the same time on the second side of the mould the pre-moulded part produced in the previous cycle is coated with polyurethane. The capacitive foil is inserted into the mould before the first component is injected. In this part, the PUR layer fulfils several functions at the same time. Here, participants are informed of the innovative technologies in a practically-relevant manner and with a high degree of technological expertise so that they can use them themselves subsequently for their own products, for example. Interested processors can contact the Plastics Institute in Lüdenscheid at any time for more information about the broad range of possibilities.